It is fall in Northern Europe - and real fall in one of the Northernmost European countries not on the Scandinavian peninsula. In Latvia, the middle of the Baltic three, an election just took place that resulted in a return of a center-right coalition to governance, consisting of three parties, the Unity party, the Nationalist Alliance and the Union of Greens and Farmers. From a Reuters news article, "Years of austerity after the global financial crisis have dented the coalition government's popularity. But the conflict in Ukraine has shifted focus from the economy to security in a country where ethnic Russians make up almost 21 percent of voters and have heavily backed the pro-Russian opposition Concord party. Augusts Brigmanis, leader of the Union of Greens and Farmers summed it up this way, "That is what the voter expects from us: stability for the country, a steady political course and Western values, and we will guarantee that..."
Prime Minister Laimdota Straujuma stated, "This election is different because of what is going on in Ukraine ... The situation is escalating there again and people are worried what will happen because we have a border with Russia." Straujuma has increased defense spending and joined Baltic neighbors Estonia and Lithuania in pressing for a bigger NATO presence in their nations. 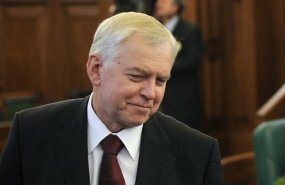 Laimdota Strujuma, leader of the Unity party and currently the Latvian Prime Minister, has emphasized suspicions regarding Russian restlessness across a number of former USSR satellite nations. The coalition upped its number of seats in Parliament to 61 from 47, while Harmony (or alternatively called Concord), a center-left party garnered 24 seats. While this opposition party espouses "equality, justice and solidarity," it is perceived as a pro-Russian party in a nation where ethnic Russians comprise over 21 percent of Latvia's population. It might not have gone this way without the Russian meddling in Ukraine and the bold takeover of the Crimean Peninsula. Now, the large majority of Latvians are in no mood to ignore Russian assertiveness. What is a Green Party doing in a centre-right coalition? For that matter, what is the connection between Greens and farmers? Apparently, the Green party in Latvia is much more centrist than leftist as in much of Western Europe. And from Wikipedia, "Latvians are supportive of traditional small farms and perceive them as more environmentally friendly than large-scale farming: Nature is threatened by development, while small farms are threatened by large industrial-scale farms. This perception has resulted in an alliance between green and farmer's parties, which is very rare in other countries." (This sounds vaguely similar to Modi's concerns clear around the globe in India, where he steadfastly supports space for India's myriad small farmers facing industrial, transnational food industries in so much of the West. 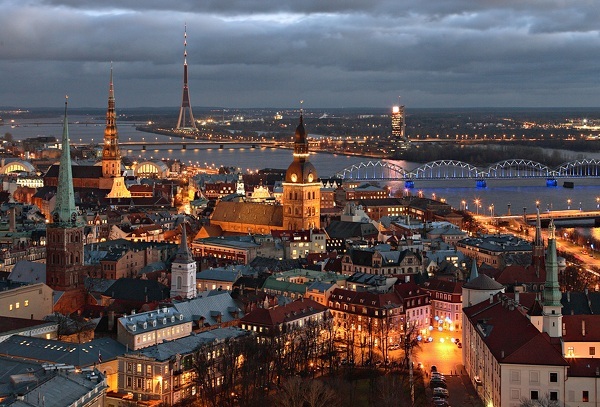 Winter in Latvia is tense, from a geopolitical legacy. From a Policy Review source, we read, "Latvia is one of the most energy import dependent countries in the EU. With the exception of peat and timber, Latvia had no significant domestic energy resources and received 93% of its imported energy from Soviet republics in 2007." It also has a large legacy of Soviet era apartment blocs with inefficient heating and power designs. So Latvia is very much aware of its over-dependence on Russian gas supplies and is working steadily to increase diversity in its sources. Well, let's keep Latvians in mind as winter approaches. They are nervous about Russian energy reliability, as much as they are about the Russian state agitating among the 20 percent of the population that is Russian. And by happenstance, Latvia is poised to take over the European Union's rotating six-month presidency in January. A couple more pictures of this country of just two million. PS. Another rarity, Latvia's Defense Minister,Raimonds Vējonis, is from the Union of Greens and Farmers party ..